Product labels play a critical role in brand awareness, package attractiveness and customer selection. This is why manufacturers spend countless hours and time developing just the right label. Custom designs often prove to be an effective tool in reaching customers and to get them to select one product over the countless others on the shelf. Wouldn’t it be great if the label did more than just communicate your brand and message? Well that’s what manufacturers get when they choose peal and reseal labels for their products. Peel and reseal labels are perfect for so many products. 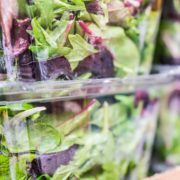 Manufacturers of lunch meats, prepackaged cheese, over the counter (OTC) medicines, snack packages, and sanitizing wipes, use peel and reseal labels for a variety of reasons. Their customers love the peel and reseal convenience, and recognize the benefits of keeping a product fresh after opening. Below we examine the qualities and features of the best peel and reseal labels on the market. Material – the best peel and reseal labels use quality material that withstand multiple open and closure. Such high quality material will keep the product secured for freshness and keep the packaging looking great. Multi print function – Peel and reseal labels offer the flexibility to feature the branding information on the outer label face, with additional printing on the inner sides of the label. This gives the manufacturer the flexibility for additional branding, ingredients, FDA information, and more. Tamper evident seal – Being secured with a peel and reseal label, it will be obvious when a package has been compromised. Customers can confidently buy knowing a product is safe and fresh. Saves Money – The convenient open/close feature of a peel and reseal label eliminates the cost for a zipper or slider. 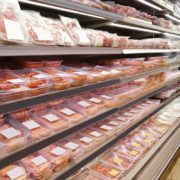 Improves POS – A clear peel and reseal label that is safe for indirect food contact will allow consumers to view a product for its quality and freshness and drive sales. At Flexo-Graphics, we have years of experience with creating the best peel and reseal labels for specific packaging needs. Our knowledgeable team will help you choose the right materials and processes to gain appealing, durable, peel and reseal labels. Choose a custom label with high-quality materials to stand out from the competition and set your brand apart. Our team is ready to help you work out all the details to create the peel and reseal label! Call us today, or simply fill out our contact form for more information. Several labeling options are available when it comes to marketing a product and each of these choices is not perfect for every situation. Dry peel labels are designed to be removed from the packaging without leaving residue or tearing. The binding adhesive allows them to be temporarily attached and removed from the packaging or container as needed. They deliver a clean, simple marketing option to any industry and product. Dry peel labels are a great option for promotions such as coupons because it allows them to be removed without a mess. They also deliver an opportunity to place additional materials underneath and ensure content is still present for the buyer after removal. Dry peel labels are worth the consideration when seeking a flexible option with minimal limits. How Can Dry Peel Labels Be Used? Dry peel labels may be used to add a personal touch or to provide consumer-oriented information outside of federal guidelines. Additionally, including “new”, “improved”, “all-natural”, or another keyword draws the customer toward your product. They can be placed strategically with the primary label to avoid harming required information. Dry peel labels have application possibilities in several industries including pharmaceutical, nutraceuticals, consumer goods, foods, beverages, and even cosmetics. 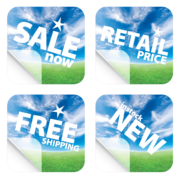 All it takes is a little imagination to make these labels work for your business or products. What Benefits are Offered by This Choice? Dry peel labels are an economical option over alternatives like booklet designs. They offer the same space at a lower overall cost and may be used for a variety of product packaging types. The largest benefit added by using dry peel labels is versatility. If you are looking for an easy way to send a message to customers, this is an ideal option. They also make it easier to change applied product discounts during seasonal changes or holidays without affecting the current packaging. At Flexo-Graphics, we are proud to offer this option and strive to help every customer get the most out of their labeling solution. We would love to help you achieve these goals as well. Contact us today to learn more! A variety of label designs and methods may be used to tell your brand story when marketing products. Not every option will be the perfect fit, and some are better suited for specific types of products. Peel and reveal labels consist of multiple pages slightly fastened together by glue. They are a great way to provide additional information and are easy for the reader to use. All they need to do is peel off layers to read the included details. Peel and reveal labels deliver a way to include any information the reader might want to know about your product. They also make it easier to include all regulatory information. These labels are beneficial for many items, but do not work for every type of merchandise. This article discusses a few ways to evaluate how this labeling option could potentially benefit your merchandise. When Are Peel and Reveal Labels the Best Option? This labeling choice is frequently used to display certain types of information such as nutritional details, other languages, or safety warnings. However, there are no limits as to the type of added information. One of the first considerations will be what details need to be placed on the product label. If it can fit on a different type with less space, then it might not be the best choice. Peel and reveal labels may be used to catch customer attention with ease, as they allow the front portion to contain information to entice a purchase rather than mundane details. Nutritional or other types of data may be placed on the consecutive pages to ensure the customer notices your product. A catchy image or tagline can be placed on the front. If the item does not need to be aggressively marketed, then this might not be a concern. A good example might be a pharmaceutical item that is being sold directly to a pharmacy where the items contents are more important than a tagline. Multiple pages also allow different images to be placed on part of the label. 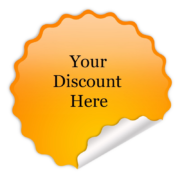 This is beneficial if you want to run a specific promotion, including coupons for other products or prize giveaways. For example, the front could advertise the product and a contest. The next page could then have the entry information and the next pages could contain all required data such as nutrition or warnings. Of course, sometimes less is more and if there is not enough to fill the space, this could be a not so cost-effective option. Peel and reveal labels may be produced using a variety of technical solutions and materials. They are a versatile option that may be applied to cans, plastic containers, bottles, and other surfaces. If a promotion spans several types of packaged products, this choice could be best for keeping costs low and ensuring the labeling remains intact. While peel and reveal labels offer several benefits, they are not right for every product. At Flexo-Graphics, we understand how important this decision is when marketing any product. We would love to hear about your specific labeling needs and to have the opportunity to help. Contact us today to learn more! https://flexo-graphics.com/wp-content/uploads/dry-release-coupons.png 1170 1200 fgadmin /wp-content/uploads/flexologoOLG.jpeg fgadmin2018-10-05 14:16:122018-10-11 14:20:35Peel and Reveal Labels – Will They Work for Your Product? Most people use re-sealable wipes for non-critical application, such as using wet wipes to care for infants, wet wipes to clean up tough messes in kitchens and bathrooms, and as a general cleaner for various types of soil that accumulate in workstations and need to be removed for safety reasons. However, industrial grade medical wipe products go beyond these applications and serve doctor offices, healthcare centers, and hospitals in ways that promote good health outcomes. How can something as simple as a hand wipe make a positive difference? Let’s take a look. Busy hospitals and doctor offices often see one patient after another in 15-20 time blocks, which leaves little time to sanitize exam rooms using traditional methods such as solvents, whose evaporative vapor shouldn’t be inhaled. Medical wipes bridge the gap by being fast to use and containing a high degree of solvent that’s formulated for the safety of medical patients. Many types of medical utensils and devices are placed in an autoclave, which heats the workpieces to a temperature that destroys bacteria. But what happens when you can’t put equipment used for treatment in an autoclave? As long as the equipment has flat, easy to clean surfaces, using a heavy duty, industrial grade medical wipe may be the best alternative. Have you ever opened canister of hand wipe products, and found that the wipes inside were dry? This is what can happen if you use a wipe container that has a traditional plastic closure that doesn’t keep air out. When this situation happens in your home, it’s usually not a big deal. But when doctors need wipes in critical situations, such as during surgeries, the wipes must remain both highly accessible and properly saturated. Resealable labels for medical wipe products help ensure that these important wipe requirements are preserved throughout the lifespan of the product. Need a New Type of Medical Wipe Packaging? If your medical wipes dry out inside the container before you can use them, our resealable labels for wipes is a perfect solution. Regardless of how you use the wipes — cleaning medical equipment, caring for patients, or cleaning high-traffic exam rooms — using a product that has a resealable label helps guarantee wipes retain the proper saturation. 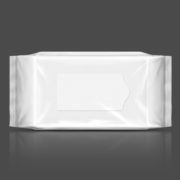 Our resealable labels for medical wipes can be closed to achieve an airtight seal for the wipes package. To reopen the package, simply peel away the label from the temporary adhesive that seals it in place. When you’re finished, simply smooth the label back in place to achieve an airtight seal. This type of package closure work quite well with flexible packaging wipes. To learn more about our capabilities with resealable labels for medical wipe products, please contact us today at (262) 790-2740 to speak with a product specialist, or send us an email through our contact form. We look forward to learning about your needs for resealable labels and supplying a product that meets them.